Federal Anti-Kickback Defense Attorneys - Oberheiden, P.C. The attorneys of Oberheiden, P.C. have seen a tremendous increase in government investigations into pharmacies and compound pharmacies that service beneficiaries of the Department of Labor’s (DOL) healthcare program. The following is a brief summary of the government’s DOL anti-kickback and healthcare fraud campaign, Oberheiden, P.C. insights presented by its former federal prosecutors, and our experience as defense counsel in several DOL matters. Since 2016, the Department of Justice has significantly expanded its efforts and increased its resources to investigate the referral practice between DOL providers and pharmacies, especially compound pharmacies. Agents of the United States Postal Inspection Service (USPIS), the Office of Inspector General (OIG), and the Federal Bureau of Investigation (FBI) were instructed by local U.S. Attorney’s Offices and the Department of Justice to secure evidence demonstrating the illegal exchange of marketing and referral monies. Today, federal prosecutors have begun to prosecute some of the country’s largest DOL providers, pharmacies, and marketing groups and almost no week goes by without press releases of new raids, arrests, and prosecutions in the context of Department of Labor referrals. Focus of the investigations is the triangle between referring physician, marketer, and pharmacy. Investigation of Physicians for Referring DOL Patients in Exchange for Money. Investigation of Marketers for Receiving a Percentage Commission for Bringing Federal Workers’ Compensation Business to the Pharmacy. Federal Law Strictly Prohibits Percentage-Based Commission on Medicare, Medicaid, Tricare, and DOL Business. 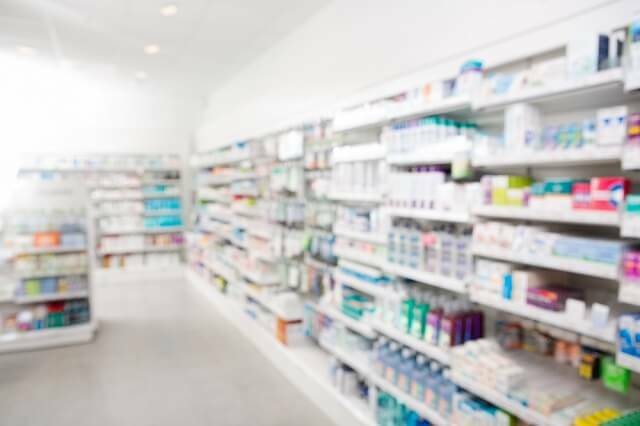 Investigation of Pharmacy Owners for Paying Marketers Commissions on DOL Business and/or for Illegally Incentivizing Physicians to Refer DOL Patients to the Pharmacy. The attorneys of Oberheiden, P.C. have been on the forefront of these prosecutions and were called to defend physicians, lawyers, marketing groups, healthcare executives, and pharmacies across the United States against civil and criminal prosecutions. Please see below for our healthcare fraud defense track record. Buying, leasing, or ordering any item, service, or facility covered by Medicare and other federal healthcare programs such as Medicaid, Department of Labor patients, and Tricare. Importantly, the federal Anti-Kickback Statute does not require specific intent. Simply doing something contrary to the statute is sufficient to be held accountable. Kickback and healthcare fraud allegations in the context of federal workers’ compensation compound scripts are being investigated by various branches of the government, which include the Office of Inspector General (OIG), the Department of Health and Human Services (HHS), the U.S. Postal Inspection Service (USPIS), the Federal Bureau of Investigation (FBI), the Department of Justice (DOJ), and, to lesser extent, the Drug Enforcement Administration (DEA). Violations of 42 U.S.C. Sect. 1320a-7b can be investigated as a civil or as a criminal case. Civil penalties, as amended by the Balanced Budget Act of 1997, include civil money penalties of up to $ 50,000 per violation, triple damages, and program exclusion. In more extreme cases, the government may prosecute the matter criminally. On the criminal side, violations of the federal Anti-Kickback Statute are felonies that are punishable by up to 5 years in prison, up to $ 25,000 in fines per occurrence, and an administrative provider exclusion from federal government programs. Our number one goal in each healthcare investigation is to avoid criminal charges. As pointed out, the federal Anti-Kickback Statute has civil and criminal components and it is critical to plan an effective defense early to avoid criminal exposure. If you are under investigation for healthcare fraud or accused of a crime, you should speak with one of the experienced Oberheiden, P.C. attorneys immediately. All consultations are free and confidential. The attorneys of Oberheiden, P.C. are healthcare fraud defense attorneys that help clients from across the country with effective defense strategies against government investigations. Instead of being walled off by secretaries, paralegals, and junior lawyers, all our clients have direct and instant access to senior lawyers. If you feel like you are being audited or investigated or if you simply want to ask questions in a free and confidential setting, you should contact the experienced attorneys at Oberheiden, P.C.. Get a free and confidential consultation and benefit from talking to former federal and state prosecutors and experienced healthcare defense attorney.